So the time has arrived, it is officially autumn and the landscape is slowly turning into a riotous display of yellows, reds and browns. It's a time to escape into the countryside at the weekend and enjoy these fruitful months, pack an autumn picnic and embrace the season. Head off to to the local country park for a stroll, to kick the leaves and search for conkers and acorns to take home for some autumn home styling. I love to make leaf garlands and put shiny conkers into bowls or jars entwined with fairy lights. There is something so exciting when there is a cold chill to the air in the morning and you can see your breath as you walk along in a slight mist. The scenery everywhere is spectacular and there are so many great places to visit in the UK from castles and abbeys to our glorious coastline. It may be cold at times but with a some cosy clothing, like a parka from M and M Direct, thick cosy socks and layers will keep you toasty for your day trip. Couple rich autumn days with a sumptuous feast, a picnic for by the river or atop a ruined castle mound. A flask of tea or a flask of spicy tomato soup with a chunk of bread. Cheese, home-made chutneys and jams, all the good of the land. 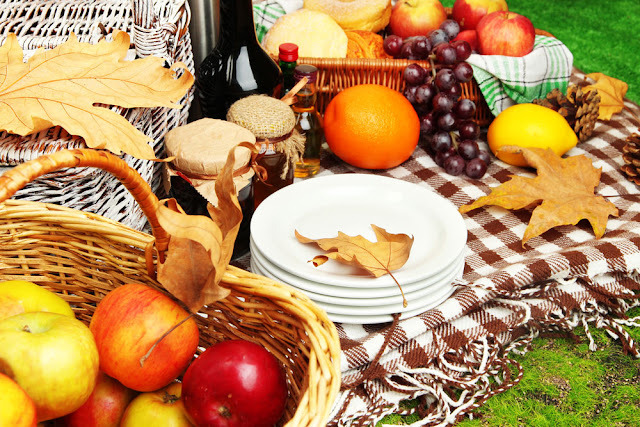 Take a blanket and a basket for foraging for blackberries, apples and sloes. If you know what you are doing there are plenty of mushrooms at this time of year but do be careful and book on a fungal foray if you are not sure. 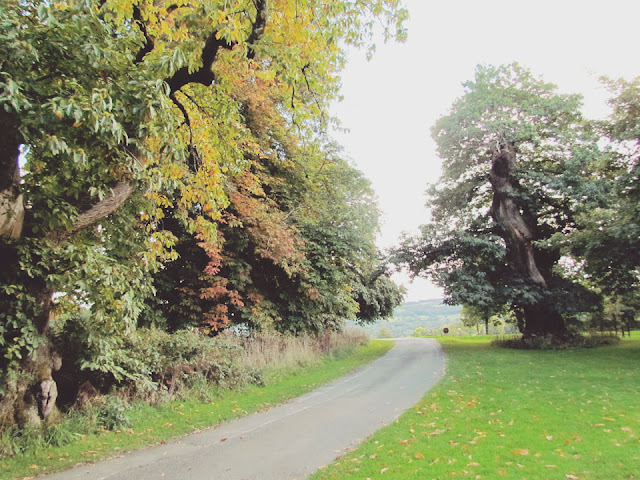 Marbury Park, Cheshire - a wonderful arboretum of the most wonderful russets and golds around the ruins of an old hall. Tatton Park - acres of parkland and a chance to see the seasonal red deer rut. Bakewell - a stunning town in the Peak District with spellbinding scenery and a tart of two to add to that picnic.